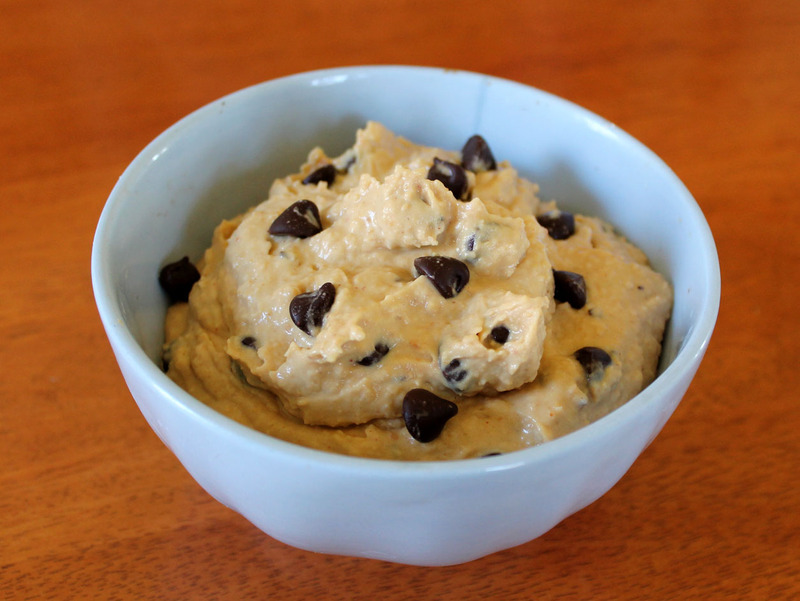 Secret Ingredient Peanut Butter Chocolate Chip Cookie Dough Dip | Live. Learn. Love. Eat. 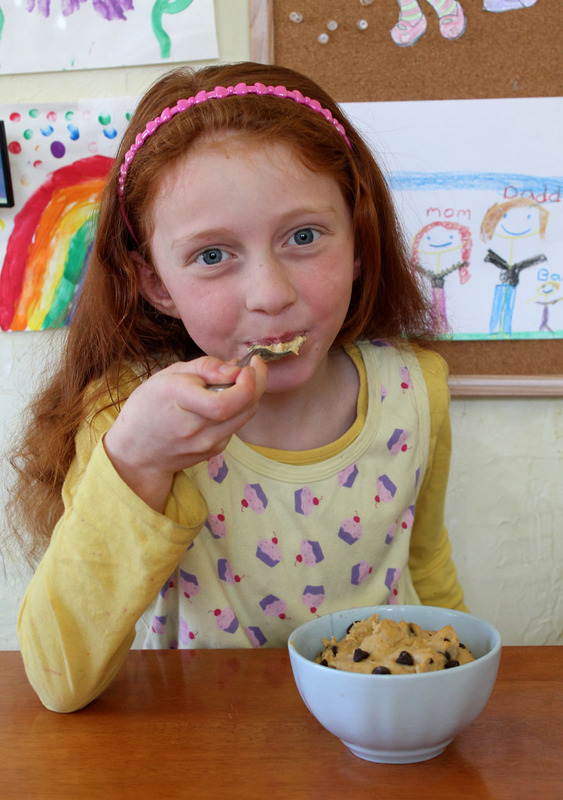 I love tricking my girls into eating even healthier by sneaking healthy foods into desserts. Today I made something that I have been planning for a long time now, chocolate chip cookie dough dip. I decided to add peanut butter as well because well, everything is better with peanut butter! The secret ingredient in this dip is actually chickpeas! 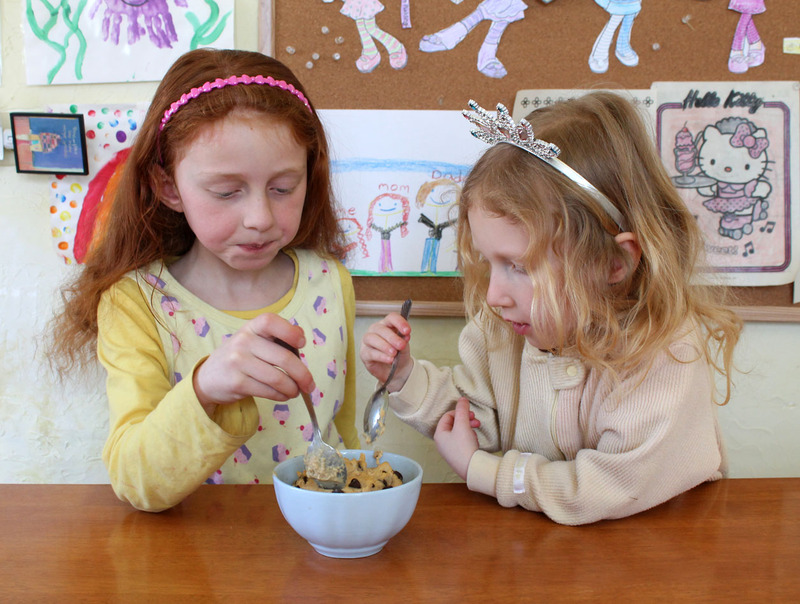 Not that the girls don’t like chickpeas, but sneaking them in this cookie dough is just another way to get them to eat even healthier. 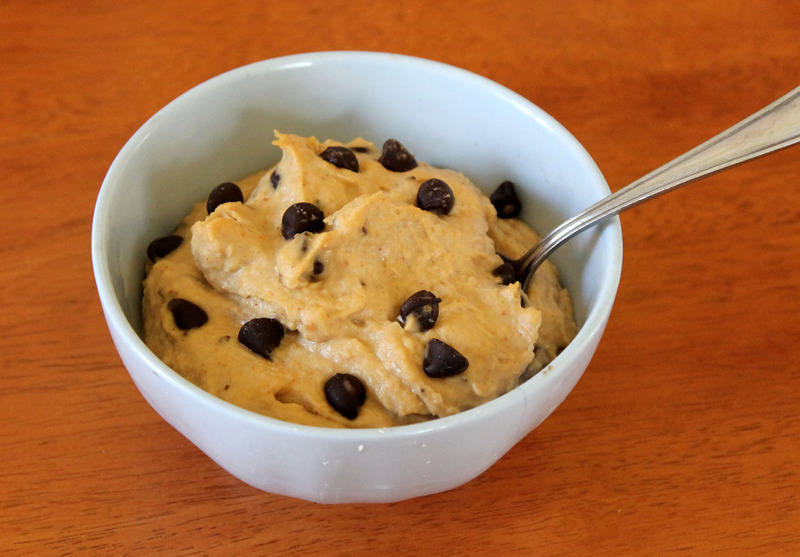 A smooth peanut butter cookie dough dip sprinkled with sweet chocolate chips. No one guess that the secret ingredient in this dip is chickpeas! 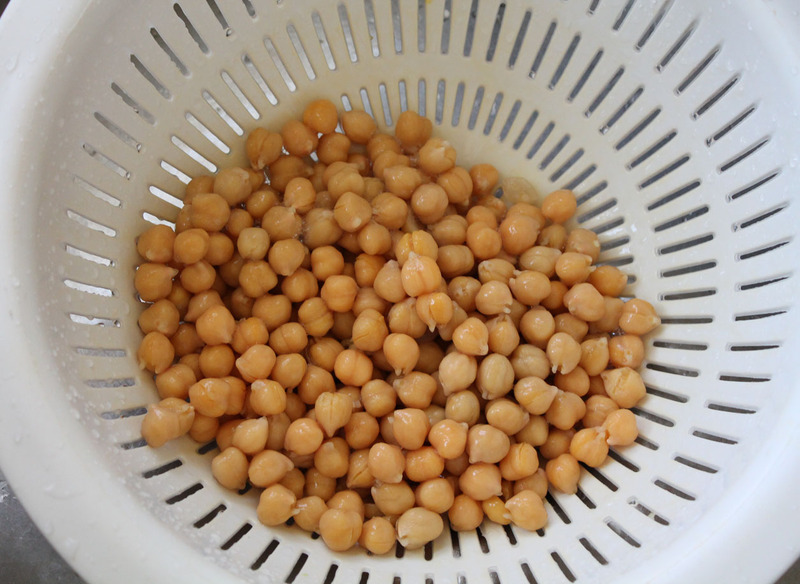 Drain and rinse the chickpeas and add them to your food processor. Add the peanut butter, maple syrup, milk and vanilla and process a few minutes, until smooth. 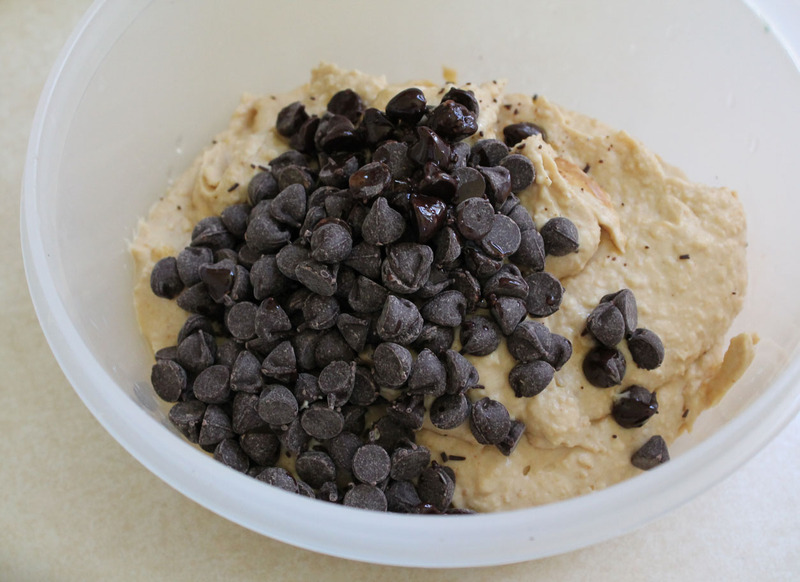 Place the chickpea dough into a medium mixing bowl and add the chocolate chips. Mix until combined. Grab a spoon and EAT! Interesting! I’ll have to try that. I can only really trick my husband though. Yes! I love this. 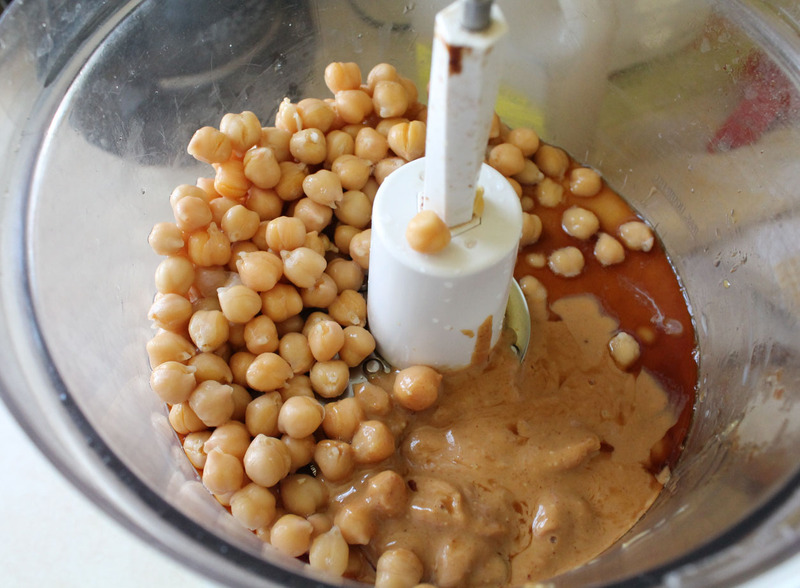 Using chickpeas is a great idea! What a great idea! You have my wheels turning as to where else I can be sneaky with my kids food! Pingback: Oil-Free Double Chocolate Avocado Muffins | Live. Learn. Love. Eat. This is amazing, I made a half batch and ate the whole thing for lunch yesterday lol and it was so good I did the same thing today.